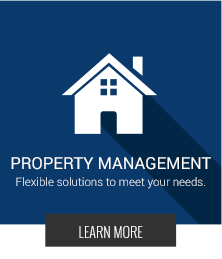 Davie Property Management and Property Managers, Davie Houses and Homes for Rent | The Shapiro Group, Inc. Welcome to The Shapiro Group, Inc.
Do you own a single family home, townhouse, or a condo, and are in need of property management services? Ron and Miriam Shapiro and their management team are Residential Rental Property Management specialists. 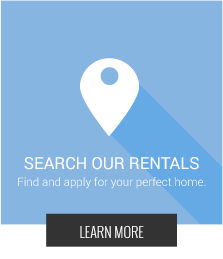 They are available to manage your rental property in South West Broward County. With expertise in Cooper City, Davie, Pembroke Pines, Plantation, Miramar, Dania, Sunrise, Weston, and surrounding areas The Shapiro Group will exceed your expectations. Looking for a company that will manage your property with hands on approach? A property management company that takes the worry out of the day to day requirements of managing your investment, will eliminate your responsibilities, and provides you with peace of mind ownership. 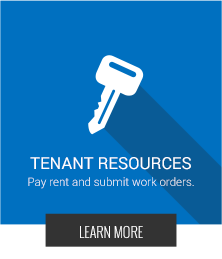 Some of their services are tenant screening, with credit and background checks, enforcing lease, keeping up with maintenance, able to find small issues and making sure they do not become bigger ones, auto deposit your rental proceeds, provide you with monthly and year end statements, and much, much more. Our goal is to make sure that your valuable asset is managed properly, so that you have peace of mind and make owning rental property a rewarding experience. They manage your property as if it were their own. Real estate is famous for its phenomenal success stories. Unfortunately, real estate is also famous for its long heritage of charlatans, snake oil salesmen, scammers, fraudsters and criminals. Much has been written about the scams that target neophyte property investors and lure them into expensive “mentorship programs,” “No money down!” deals and the like. This article will outline the scams commonly pulled on landlords and investors and discuss how you can prevent falling for one – and losing thousands of your hard-earned dollars in the process. In this scam, someone rents the property from you and then turns around and pretends to be the landlord himself. He’ll post an ad, show the property to several people, collect first and last months’ rent, deposit fees, credit check and application fees and anything else he can con out of people responding to the ad. A scammer can pull this this dozens of times on the same unit – and when it’s time for the “renters” to move in, the fake landlord is long gone – leaving you with a line of unhappy people, headaches and potentially legal fees. Check out your tenants thoroughly. Verify their identities and do a background check. Then do a Google and Craigslist search on your address looking for listings you did not create. Go through listings in your neighborhood that include photos of your property. Tip: Set up a Google Alert with your property address on it. You’ll get an email when Google’s Internet-crawling bots detect any online activity with the text of your address. If you know the renter’s cell phone number, put a Google Alert on that, too. If you don’t live near your rental properties, hire a property manager to keep an eye on things for you. Benefits like these that property managers provide are worth their fees, and you also gain from their experience and access to background check resources that may not be cost-effective for an individual landlord. Change the locks after each tenant. Check references, and then double-check them. Did the tenant give you an employer’s phone number as a reference? Check out the employer and make sure it’s a bona fide business. Sure, it helps to have a mentor, and few hugely-successful real estate investors will tell you they haven’t learned things along the way from other people. But how can you tell the real professionals who genuinely enjoy mentoring and teaching from the scammers looking to exploit you to make a quick buck? Here are some common tactics employed by investment scammers that you should be wary of. Real estate is a fairly simple industry, so there are few real “systems” that actually work other than having a disciplined process for buying properties at a discount from their intrinsic value so you can profitably rent them or fix and flip them out. There are also very few real estate “secrets” that aren’t now common knowledge in the industry. There’s always time. Don’t fall for the “act now – I only have slots for five team members in your area” ploy. That’s just a ruse to get you to skip your due diligence and sign a check. Note that when you’re buying a property time is often of the essence. Many times the first to commit with earnest money gets the property and the race is on. However, this is not the case when it comes to investment programs, mentorships and the like. Charlatans aren’t about selling knowledge. They may have a bit of it, but they will only share just enough knowledge to entice you to sign up for a more expensive program. Open their books and literature and you’ll find it’s awfully short on content, but awfully long on photos of the author posing in front of mansions, sports cars and jets. He’s selling you the dream, not the actual knowledge that will help you attain the dream. Real estate has made many people very wealthy – but it has never been a get rich quick scheme. Get too greedy, you’ll leverage too much, and you’ll become bankrupt when the market turns against you. Real “no money down” deals are few and far between in the investment world. Sure, veterans can qualify for a zero down payment mortgage through the VA, but those can’t be used for purely investment properties (with the exception of duplexes, triplexes and quads). You have to commit to living in the property for at least a year, or have your spouse live there if you’re deployed or otherwise away, if you want to use a VA loan. You also normally have to occupy within 60 days of closing. Don’t have anything to do with a real estate “guru” who suggests you use your VA eligibility for a property you don’t plan to live in, or to help obtain a property for another person. That’s fraud. Real estate involves risk. If you want risk-free investing, stick to CDs, money markets and fixed annuities. Even treasury bonds, which are backed by the full faith and credit of the United States government, have big price swings and are therefore subject to risk. Generally, the old adage holds true: If something is too good to be true, it probably is. Be especially wary of deals that are too far below market price to be realistic, or with those who are too eager to sell at cheap prices. Not that great deals never happen – just be sure about what you’re getting into before you commit money. Have you ever seen the bumper sticker on many contractor's trucks? Getting welfare should be as difficult as it is to get a building permit! Well as property mangers know and owners managing their own properties will find out, the twist on that is getting your utilities turned on. More specifically getting your water turned on in a tenant's name. Each city has their own requirements. Most will allow you to go on line and find out what is required. Now the gathering of paperwork begins. Some require owner deposits as well as tenant deposits, power of attorney, executed by owner authorizing transaction, owners license, etc etc etc. Most require an executed lease. And then there is always some unknown paper, authorization etc etc etc. Hopefully you have brought it with you, this mystery requirement. I must say however that the staff working at the utilities office are courteous, professional, and willing to help. However don't expect to get this done if you do not have all of the required goods! If you own property in different cities, you will alway's find a slight variation in requirement's. Have patience, go early and be prepared to spend more time than you originally thought it would take. Thanks for checking out The Shapiro Group Residential Property Managers blog. We thought we would bring you the upcoming events in some of the cities that we manage properties. Below you will find Cooper City, Davie, Pembroke Pines, and Weston. Plan a very special evening date with your daughter including dinner, dancing and entertainment. If dad is unavailable, grandfathers, step-dads, and uncles are always welcomed! This event has limited seating, and is only available for Cooper City residents (proof of residency is required when purchasing tickets). Reservations can be made beginning Wednesday, October 7, 2015 at the Community Center. There will be no tickets sold at the door. MEMORIAL PAREK – LOCATED BETWEEN CITY HALL AND COMMUNITY CENTER ON 90TH AVE.
Take a stroll in the park and enjoy the mini twinkle lights and luminaries candles, community youth performances, children activities, an indoor craft show, and visit “SANTA” at the gazebo. ( limited to children 1-8 years old). Complimentary fun! Please bring a donation of canned food items to benefit the needy. Flamingo Garden's Botanical Gardens are decked out with thousands of lights and decorations while holiday music fills the air, with visits from Santa and special holiday light show set to music runs continuously on Saturday and Sunday nights, Gardens of Lights is complimentary with daytime admission to Flamingo Gardens, or $5 per person for entry after 5pm to see the lights and light show only. Admission: Free to the general public Parking: Free Time: 9:00 a.m. - 4:00 p.m. The Town of Davie is inviting your school or civic group to participate in the 27th Annual Winter Holiday Tree, Menorah and Kinara Decorating Contest at the Davie Town Hall. Decorating will begin on Wednesday, December 2, 2015, at 9:00am with a lunch served until 1:00pm. If you are unable to decorate on Wednesday morning, groups can come to decorate anytime before Friday, December 4th before Noon. Groups are asked to make all their own decorations, keeping to the theme; lights will be provided by the Town. Prizes will be awarded Saturday evening at the Lighting of the Greens event. On Saturday, December 5, 2015, the next HHW & Electronics Recycling Drop-Off will be held from 8 a.m. to 4 p.m. along with the Shred-A-Thon event (Limit 5 boxes) that will be held from 8 a.m. to 1 p.m., at Davie Town Hall north parking area, 6591 Orange Drive. PICTURES WITH SANTA - Have your picture taken with SANTA in the Town Hall Building, for a small fee, or just visit with the big guy for free! Free candy canes while supplies last. REFRESHMENTS - Hot and cold drinks and home made cookies will be served FREE while supplies last. There will also be food items available for sale. TREE LIGHTING - Watch the Mayor and Town Council turn on over 200,000 holiday lights and decorations officially porclaim it Holiday time in Davie. If you are a school or civic group , sign up to decorate a Tree, Menorah or Kinara of your own! SNOW BLOW - For those of you who miss snow, 20 tons of the “white stuff” will be blown for the enjoyment of the children. Admission to the Snow Blow is FREE. There will be two supervised snow play areas: one for children ages 1 to 5 and another for children ages 6 to 12. Parents will not be permitted in Snow Play Areas. Event begins at 6:00 p.m. and the live music will begin at 6:30 p.m. The event will include food trucks, a bounce house and sponsor displays. Parking will be FREE and available at the Bergeron Rodeo Grounds of Davie, Florida. Join us for the 14th Annual Storybook Festival Saturday, November 14th from 10am-4:30pm at the Southwest Regional Library in Pembroke Pines. The theme for this year is "Just So: A Tribute to Rudyard Kipling" in tribute to the 150th anniversary of author Rudyard Kipling's birth. The Storybook Festival is FREE and open to the public. Children can come in costume and join the Storybook Parade and tour the Miami Herald’s Fantasy Forest with fairy tale favorites to see. The City of Pembroke Pines will sponsor an arts and crafts tent where kids can get creative. The first 1,000 children arriving to the festival will receive a free book provided by Baptist Health South Florida. The City of Pembroke Pines FREE Jazz in the Pines Concert Series features 9 Jazz Concerts on Sunday afternoons once a month. Join us for a relaxing afternoon of Jazz on Sunday, November 22nd from 3pm-5pm. Free for participants. (weather permitting) Refreshments will be sold. Don't forget to bring your blankets and chairs. Bring your entire family to enjoy the holiday decorations & winter village train displays! Live entertainment, hot cocoa & cookies, face painting & a visit from a special gentleman in a red suit! Don't forget your camera for your holiday photos! This event is free & open to the public. Please join us for the "Children's Holiday in the Pines" art reception and show Tuesday, December 1st from 7pm-9pm at CIty Hall. Guests will enjoy a special and festive evening featuring beautiful art work created by the youth of Pembroke Pines and entertainment Light refreshments will be served. The art exhibit will be held from November 18, 2015 through January 11, 2016. Fifty tons of snow will be delivered to Pines Recreation Center, 7400 Pines Boulevard. SnowFest activities include: Visits with Santa, face painting, rides, games, arts and crafts, lots of holiday performances, musical entertainment, the Food Truck Round-Up, and lots more holiday fun. Santa’s elves are helping out in the workshop and Santa wants to speak to the boys and girls who are Pembroke Pines residents 10 and younger. Children will receive a personal call from Santa all the way from the North Pole. The calls will take place Tuesday, December 15th – Thursday, December 17th between 6:00 – 8:00pm. Santa needs the information printed and returned by December 3rd. Please return the form to Santa’s Holiday Hotline C/O City of Pembroke Pines, 10100 Pines Boulevard (2nd Floor Building B) Pembroke Pines, Fl. 33026. For more information, please call the Special Events Office at 954-435-6525. Join Santa and a few of his friends at The SW Focal Point Community Center, 301 NW 103 Avenue. Make your own Ice Cream Sundae with lots of yummy toppings to choose from. There will be musical entertainment, arts and crafts and lots of holiday cheer. Tickets are $6.00 per person for Pembroke Pines residents and $8.00 per person for non-residents. Tickets on sale at Rose Price Park, 901 NW 208th Avenue. Calling all curious children…. Don’t miss this free family event! Coins, cards, ropes, scarves & rings… the magic happens right before your eyes! Shows are for children of all ages. Children must be accompanied by an adult. The show is held inside the Weston Community Center, located at Weston Regional Park, 20200 Saddle Club Road. Bring lawn chairs or blankets and relax… the movie is on us! The full-length feature film is projected onto a giant inflatable screen behind the event stage located inside Weston Regional Park, 20200 Saddle Club Road. Bringing back Hot Disco Nights! Go retro and move to the beat of funk and soul as we pay tribute to the 70's with DISCO FEVER. The band Playlist will be onstage in the Weston Regional Park! WestonNights is the perfect date night or family fun night. Enjoy an evening of music under the stars with a different musical theme for each concert. Admission is free! The annual event is perfect for families as it is set in a comfortable and safe environment. The Event Stage is close to the park’s largest playground which is a plus for those with smaller children. Concert attendees do need to bring their own lawn chairs or blanket for seating. Food concessions will be available and while people are welcome to bring in their own food or beverages, alcohol is not permitted. The concert is held at Event Stage next to the Weston Community Center, inside of the Weston Regional Park, 20200 Saddle Club Road. 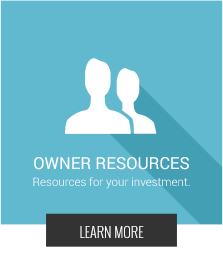 Have you thought about managing your own property? If you have managed property before, then you know of some of the pitfalls. If you have not managed before, then why re-create the wheel and deal with the issues you could be hit with. Copyright © The Shapiro Group. All Rights Reserved.